I finally made it to Alto and I am so glad I visited the place. We have been meaning to visit Alto for a long time now and we just never got there. If you also have passed Alto many times and not popped in then I highly recommend you drive in next time!! I was the only person at Alto, but again, I think this is because it was the Cheese Festival that day so not many people were out visiting wineries. The views are lovely from this estate. They have an indoor and outdoor seating area for tasting wine. I love the decor at this estate. I felt so relaxed by the choice of furniture they had used. It felt like I was visiting a secluded place. The views were lovely! 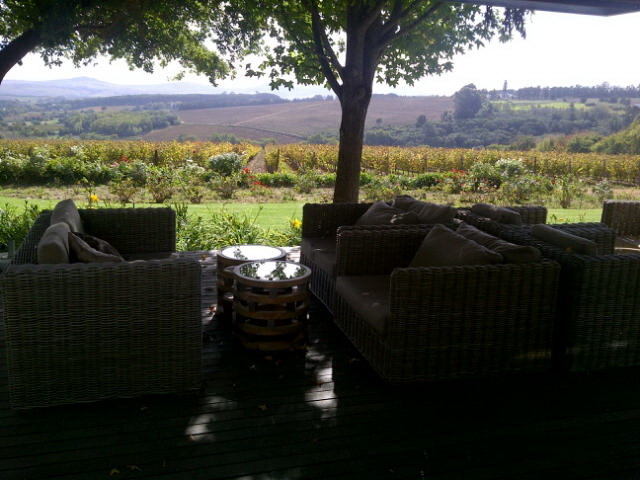 I decided to do the tasting inside so I could talk easily to the staff member and where I sat I could also enjoy the views and be out of the wind. I decided to do the full wine tasting including a tasting of the port which was R20. 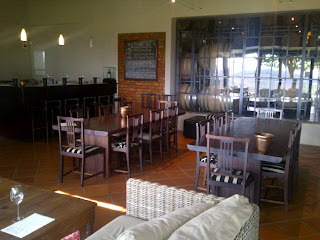 A wine tasting is R10, a tasting of the port is R10 and it turns out they have a pate and wine tasting for R50 also. Had I known this, I would have chosen the last tasting as I just love pate!!! The tasting started with the Alto Rouge 2010 at R60 a bottle. It is a blend of Cabernet Franc, Shiraz, Merlot, Cabernet Sauvignon and Petit Verdot. I found it a bit rough around the edges. Perhaps it is a bit young to be drinking now? It was nice on the nose. The Alto Cabernet Sauvignon 2009 at R140 a bottle has an awesome bouquet!! It had hints of fruit and chocolate on the nose. It was light on the palate. Had fruity, robust flavours. It had a lingering aftertaste and was smooth. I liked it very much. 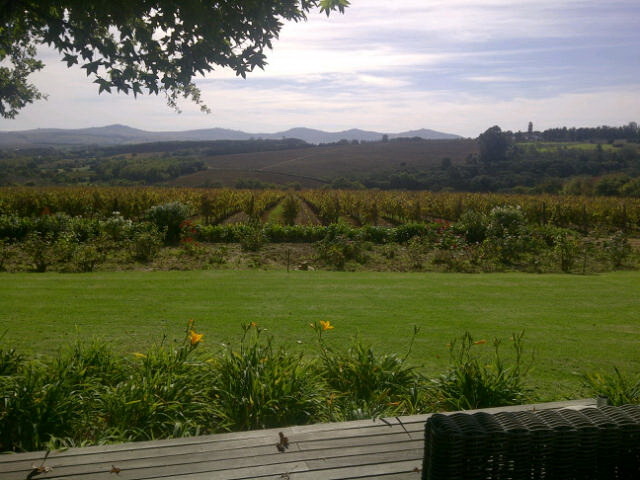 The Alto Shiraz 2010 at R140 a bottle was intense on the nose, in a very positive way!!! It was full of different aromas, which included spicy fruity smells; a bit like xmas cake. The flavour was delicious with fruity and spicy tones. I liked this wine the most out of all the wine. I recommend trying this wine!! The Altus MPHS 2007 is not for tasting. The MPHS is the first letter of each winemaker who has worked at Alto. It is apparently a collectors item. Last but not least I tried the Alto Fine Old Vintage 2006. It is 100% Shiraz but brandy was added to increase the alcohol content (well that is what the tasting room assistant told me). The alcohol volume is 18% for this port. It was creamy, had caramel, prunes and raisin taste. It was yum. I wouldn't pay R240 a bottle for it though. If someone bought it for me I would enjoy it immensely. The tasting room assistant informed me that around 60% of their wine is exported. They have around 192 hectares of land and 100 hectares are used for vines. 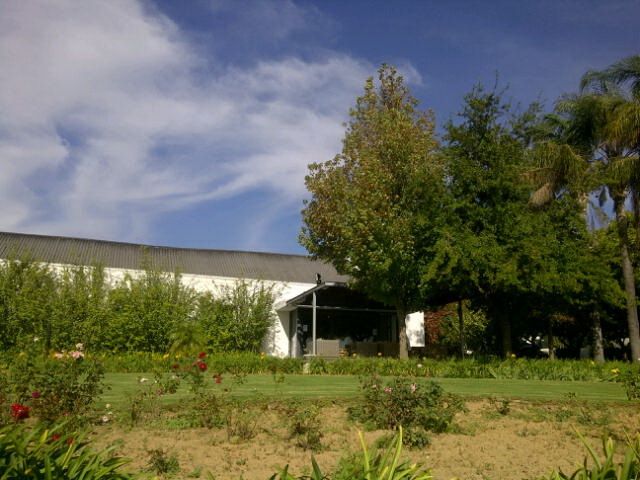 The farm was establised in 1693 and the vines were only planted in the 1990's. I was impressed with the wine at Alto. The views, experience, wine and decor were all lovely. I would recommend one visits this estate if out this way.